This event schedule template ensures seamless and stress-free event planning. This template acts as a complete checklist, covering everything you need for planning your next event - and making it a success. From initial ideation and concept planning, to effective management of every key aspect of your event, this template covers it all: budget, venue, food and drink, promotion, event schedule and much more. 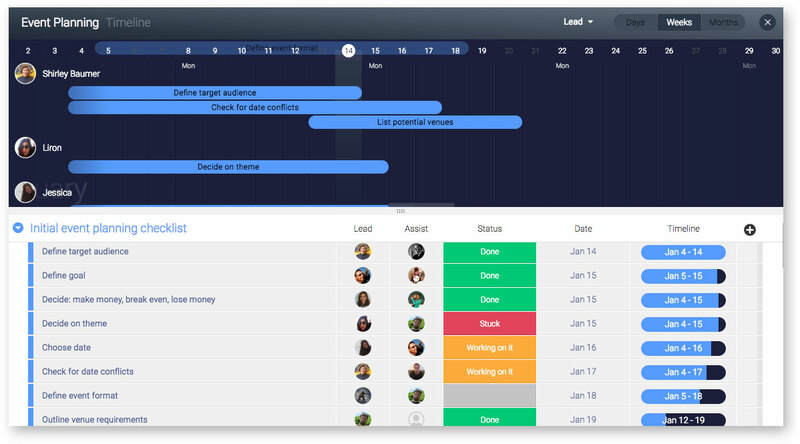 You can assign responsibilities for every task and decision so nothing gets forgotten, prioritize visually using the timeline and date column, and communicate in context from one place. When planning an event, effective management of each and every aspect, plus the team of people involved, is extremely challenging. Details are often missed, causing panic as the event approaches (not to mention disgruntled clients). 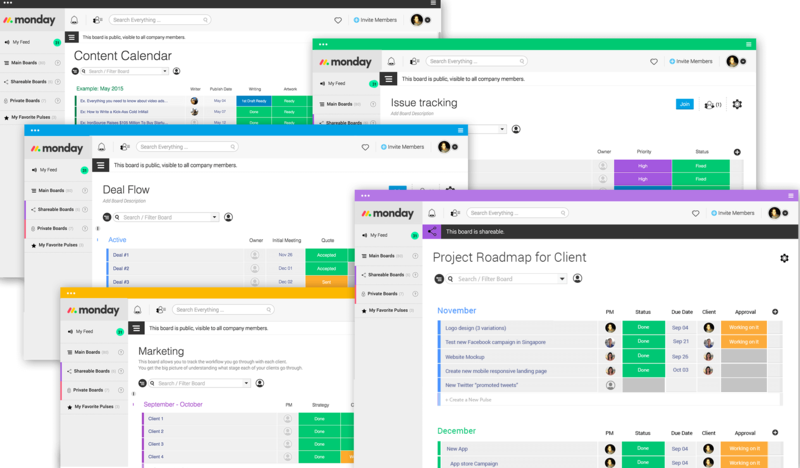 It’s not always clear who owns each task or decision, leading to duplicate work or, even worse, things being forgotten, and the schedule for the event itself can change one thousand times before it’s finalized. It’s therefore crucial for event planning teams to work from one, thorough checklist, listing what needs to be done, with clear role assignment, both in relation to the run-up to the event and when planning the day’s schedule.